I grew up the youngest of three sisters and have memories of sitting at the dinner table with my chin in my hands watching and listening to them talk. My oldest sister is very articulate and my middle sister so humorous. Between the two of them, I didn’t feel like I had anything worthwhile to add. That moment, when someone in the circle could see me in ways I couldn’t see myself, changed me. I began opening my mouth to speak more often, imagining that I had something someone might need to hear. Twelve years ago, my husband and I faced news that our oldest son Ryan, then a toddler, wasn’t developing typically and needed intensive intervention. I was angry, afraid and depleted. I reached out to some friends who had started their own personal reflection circle and said “I need in.” For the next five years, that circle supported and championed me, gave me the space to cry, laugh, and commit to action that was instrumental in Ryan thriving today. In the year before launching Mother’s Quest, circles changed me again. I joined a Power Circle through Emerging Women, and shared out loud for the first time my vision for Mother’s Quest. The women in the circle reflected back the value in my ideas and the passion they saw in me to make it happen. Months later, I created my own “Founder’s Circle,” and convened a meeting to lay out my plans. The women, in the group asked me amazing questions, clarified my thinking, and helped me develop a strategy. They also let me test out my ideas for a Mother’s Quest Circle and allowed me to witness the connection among mothers possible through my vision. In every example, being part of a circle helped me become a bigger, more confident version of myself and gave me support to get clear and connected to my goals so I could take more effective action. As a CTI-trained coach and facilitator of reflective circles in the non-profit field for over 10 years, I’ve seen this same transformative experience happen again and again for those sitting in the circle. That’s why, when I launched Mother’s Quest, I knew that Circles would be my signature coaching offer, the key vehicle for helping mothers live their version of a more E.P.I.C. life. 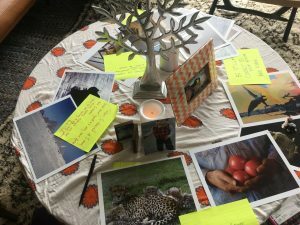 After two successful pilots, I’m honored and excited to open applications again for a Bay Area Mother’s Quest Circle, beginning in November, for an intimate group of women who are ready to take intentional, purposeful action in their lives and want to do it “in community” instead of alone. We’ll meet through a combination of in-person and via Zoom for four two hour sessions that will include the weaving in of E.P.I.C. skills training (based on skills I learned as a coach), personal introspection and sharing, and group coaching/reflection. Each member of the group will commit to one bold action step that they will complete before the end of our four session cycle. And, I’ll also offer one bonus one-on-one coaching session at the time that feels most pivotal for each participant. Along the way, we’ll build close relationships, hold one another accountable to our aspirations, and help one another see the greatness in ourselves, as mothers and also as leaders with a unique impact to make. The first review of applications begins on November 2nd. Please take a look at the link for for more information and apply today if it feels like what YOU need to more fully live your E.P.I.C. life. Email me at julie@mothersquest.com if you have any questions I can answer. Not right for you, but may be for someone else? Please help spread the word. 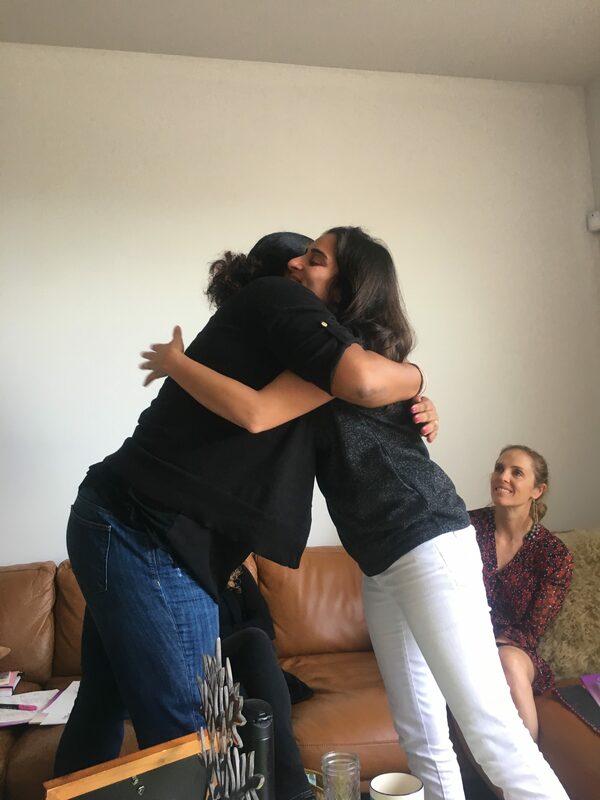 I’m so grateful for the power of circles in my life and look forward to witnessing all the ways that being part of a Mother’s Quest Circle becomes a transformative experience for the women who say “yes” to this unique opportunity. If you’ve been wanting to invest in yourself and continually dismiss that desire…decide today to listen to that voice and see if this could support you! P.S. Interested in the Circle but you don’t live in the Bay Area? Sign up for the wait list for the Virtual Mother’s Quest Circle experience, at the bottom of this page, and you’ll be the first to know when we launch a Virtual Circle.